Use the “Interactive Map Search” above or see below for homes available in the Lisbon/Woodbine area. Homes for sale in the Lisbon/Woodbine area are situated in lovely rural settings within western Howard County and Carroll County. 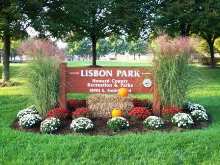 As neighboring areas, Lisbon is located within Howard County while Woodbine spans Howard and Carroll Counties. Homes in this area are surrounded by rural charm while also having easy access to major routes such as Interstate 70, Maryland Routes 144 and 26. 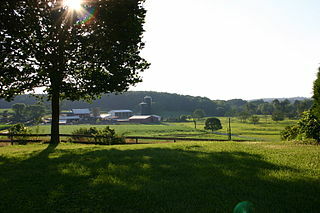 In this area is Larriland Farms, a popular site within Howard County, having many characteristics of the allure of western Howard County and Carroll County. Woodbine was named for the native plant, woodbine, which grew in the fields along the riverbanks of the area, while the very first roundabout road in Maryland was built in Lisbon. WELCOME TO THIS QUIANT FARMETTE NESTLED AMIDST HOWARD COUNTY COUNTRYSIDE ON 3.85 LEVEL ACRES! TWO FENCED PASTURES WITH WATER, TWO RUN-IN SHEDS, MULTIPLE FARM BUILDINGS, NEWER ROOF W/30 YEAR ARCHITECTURAL SHINGLES, NEWER WINDOWS, HUGE HEATED GARAGE PERFECT FOR THE CAR BUFF, FRESHLY LANDSCAPED. ENJOY QUIET EVENINGS ON YOUR PATIO! Absolutely one the best homes in the area, shows like a brand new home, 2 level colonial, main level has large dining area, large living area off of gallery kitchen with SS appliances, granite counter top, main level bedroom and 1.5 baths, upper level with 3 bedrooms and 2 full bath and large sitting area, 2 detached car garages with in law suite that has living area, kitchenette, full bathroom and laundry area, rear view of lake , very private, Newell painted, all new flooring, new 2 HVAC system, list goes on, moving in ready, , great value. Square Woods custom homes - peaceful solitude, storied tradition, and modern convenience. The main level of the Waterford features a dramatic two-story foyer, an elegant living room, a spacious kitchen open to the family room, and a hard-to-find entry level master bedroom that is perfect for guests or extended family. With four additional bedrooms upstairs, including a stunning Master Suite complete with dual walk-in closets and a spa-like master bath, the Waterford is perfectly app The most flexible of all models, this floor plan can beeasily and affordably customizedto fit your needs. Exclusive JMB Homes Always Standard Features include Custom Finished Hardwoods, Coffered Ceilings, Stone Hardscape, Generous Allowances for Appliances and Landscape, and 10K toward Buyer Closing. Custom built estate situated on 1.35 acres with miles of breath-taking views, backing to agricultural preserves! This home boasts nearly 4350 square feet of living space with rare fine custom details including an expansive all-wood kitchen island, barn-doors from a 100 year old farm, exposed ceiling beams, hand-crafted trendy barn-style door made with sheet-metal, wrap-around porch, columns and more. Pristine wide-plank hardwood flooring, main level office, family room with stone fireplace, gourmet kitchen, breakfast room, mudroom with direct access to two-car side-load garage, upper level master suite with two walk-in closets and a private balcony - perfect for star-gazing, master luxury bathroom with large doorless walk-in shower with multiple shower-heads, bedroom two has a private bathroom while bedrooms three and four have an adjoining full bathroom, bedroom level laundry with pull-down attic stairs for added storage, a finished lower level with walk-out complete with wood-plank wall, wet-bar with granite counter-tops, recreation room, playroom, gym, fifth bedroom and full bathroom with Swan-sink. Maintenance-free rear deck overlooking stone patio with fire-pit below. This charming home is absolutely AMAZING and NOT ordinary. What a charming house to come home to in sought after Glenelg High School district! This all brick rancher has been completely renovated with granite counters, stainless steel appliances, glistening hardwoods and ceramic flooring, and features a sprawling deck with beautiful views of the peaceful one-acre yard. Unwind in your own oasis! Welcome Home! This immaculate home shines with many elegant details and upgrades. Three levels of comfortable living invite you to enjoy the amenities such as a spacious kitchen with breakfast bar, family room with wood-burning fireplace, formal living room, formal dining room, office, large master suite with a luxury full bathroom and walk-in closet. Three additional bedrooms, two additional full bathrooms, and a bedroom-level laundry room round out the comforts of the two upper levels. A fully-finished basement boasts another full bathroom, entertainment areas such as a wet bar/kitchenette, game room, and den or exercise room. Retreat outdoors to enjoy the inground swimming pool and pastoral views as far as the eye can see. Stunning home with rounded turrets, soaring ceilings and bright interiors. Remodeled kitchen w/s.s. appl/ island & granite cntrs opens to Fm rm w/atrium windows and stone frpl. MBR w/tray ceilings and blt-ins. Walk-out lower lvl w/hg rec rm, frpl, media rm, bdrm & fl bath. New Trex deck & custom patio. Backyrd bonanza w/fountain and party pavilion, grill, great for entertaining. 1st flr bedroom & bath perfect for in-law. (Handicap Access). Completely renovated all brick rancher on almost 2 acres located in desirable western Howard County with all high end finishes! This home is as good as new! New electrical, plumbing, insulation, roof, windows, HVAC, flooring, appliances, and more. This home also features marble counter tops in the kitchen, brand new cabinets and a fully finished basement with a wet bar and full walk out! Don't miss this one! Park-like setting on almost 3.5 acres. Bring you horses, livestock etc. Mature landscaping surrounds this large spacious 5 BR 4.5 BA rancher. Over 3000 finished sq feet. Includes an in law suite with separate kitchen and laundry area. In law suite is two level with woodstove, master bath and private entrance. Septic was upgraded when addition was added on in 2002. HVAC updated 2010. both hot water heater updated in 2015. Includes generator, new walk out basement. Upgraded windows. Multi tiered deck overlooks large back yard with plenty of wildlife and birds. Basement was professionally waterproofed with a transferable lifetime guarantee. This is a must see with all the space included in the home. Big price reduction for quick sale. Stunning colonial on almost 1 acre lot in Wellington West! Gleaming hardwood floors, dual stair cases. Spacious kitchen with 42 cabinetry, granite counter tops, over-sized island. Upstairs luxurious master suit with sitting room & fireplace, spacious master bath with dual vanities, soaking tub, walk-in closet. Finished basement with huge recreation room, exercise room, huge storage room, walkout stairs. 2-zone A/C. Large wrap-around deck off kitchen breakfast room. 3-car garage. A must see!